The final renewal day of this page is March 24, 2004. Day when took the photograph 1: February 13, 2004. 2: March 6, 2004. 3: March 12, 2004. 4,5,6: March 15, 2004. 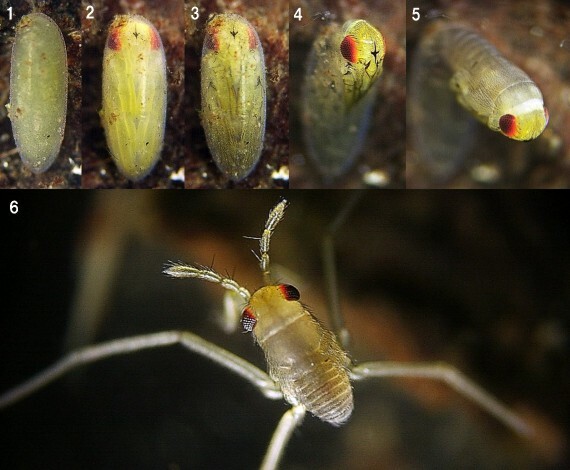 Figure10-2：Situation of the change of the wasp in the water strider egg 1:The larva of the wasp was working intensively in the egg. February 17, 2004. 2:The compound eyes of the egg-parasitoids wasp were red. March 4, 2004. 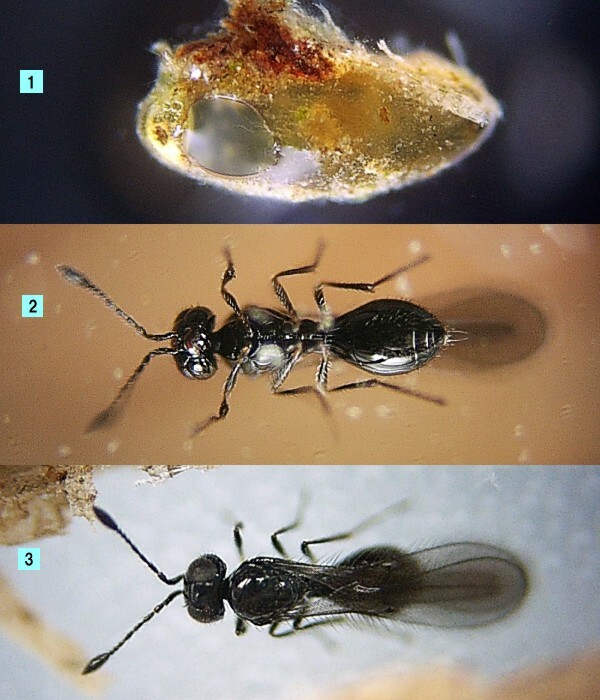 3:The egg-parasitoids wasp became black. March 15, 2004. 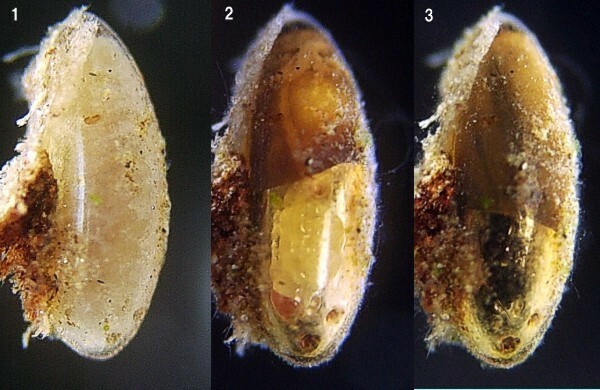 Figure10-3 1:Shell of the egg of the host that the egg-parasitoids wasp came out. A round hole is made because an egg-parasitoids wasp bites off the shell of the egg . 2，3:The egg-parasitoids wasps of the water strider　Size: body length 1.20mm. Because the egg-parasitoids wasp continues to walk the shooting is difficult. March 17, 2004.